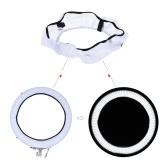 As the auxiliary accessories in the photography, the reflectors are wildly used in many scenarios. It can make a dull image become more bright and vivid, embody nice light effects and textures. 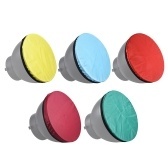 It is also beneficial to simplify visual components and highlight the subject by changing the light. 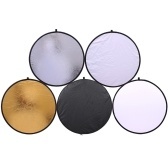 The translucent reflector help to reduce shadows and produce an even, soft, low contrast light over a relatively large area. 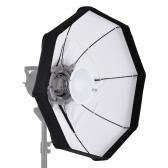 Soften,broaden and diffuse the light output of any tungsten or studio flash source. Comes with a zippered carrying bag for convenient to carry.